Brexit. The spectre of recession. Talent shortages. Britain’s economy is under siege. This is why I am delighted to announce that BigChange is bucking the trend to post a record third quarter. So far this year, new contract wins have surpassed the £10m mark, a 50% increase on 2017. We have welcomed 170 new customers into the business over the last nine months. Our existing customer base remains loyal and committed to our service too: we now have a total of 800 customers in the UK, Scandinavia, France, Cyprus, Australia and the US. I also want to thank the spectacular team at BigChange, who have worked tirelessly to support our incredible growth. We now employ more than 90 people between the UK and France. 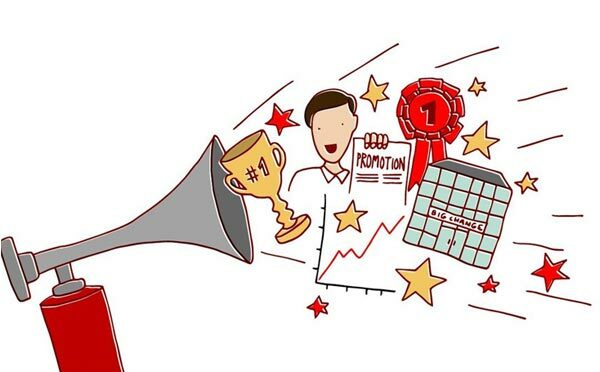 As a testament to our internal talent, we have promoted many team members this year, helping them to progress in their chosen fields and careers. We continue to introduce lots of new talent to the company to make sure we can support our future growth. As mentioned last week in my blog Pain and sorrow of recruitment, we are looking to recruit another 25 people over the next 12 months. These roles include: developers, project managers, business advisors, and RoadCrew customer support. Finding great new people is always a challenge so if you, or someone you know, are keen to join a fast-growth tech company in the UK’s greatest city – Leeds – get in touch! I’m excited to announce the launch of our new Business Advisory team, which will focus on helping our customers to meet their growth goals, helping you to get the most out of the BigChange service offering. This team will offer regular review meetings, workflow integration optimisation, training, report writing, custom reports and automation to help deliver further return on investment to our JobWatch customers. Interested? Contact the RoadCrew team for further information. The innovation doesn’t end there. We have now launched our booking app, and have seen an excellent take up. It will revolutionise the way your business manages both planned and reactive bookings. Rating Tables – will allow users to price jobs based off worksheet questions, allows bespoke pricing and quoting on site. Worksheet icons answer type – hugely popular for faster worksheet completion and easier to understand for users moving from paper systems with tick sheets. User event logging – enhanced audit trails of users log in activities, exports and various other interactions. Collaboration – ability to pass jobs from one customer to another and passing worksheets via this method. Photo history and multiple file upload on devices – view all historical photos on device at job location and upload multiple photos or files on devices in one action. We are also excited about our new office at Thorpe Park Leeds. We were getting a bit cramped at our old site so it’s been a dream to move into this 10,000 sq ft modern building. Moving was a headache read my blog I Survivor office move but it was worth it to have this great working environment for both the team and our customers. We must be doing something right. We keep winning awards for our success! Recent notable awards include: The Deloitte Technology Fast 50, The Sunday Times Tech Track 100, The LinkedIn Top 10 Startups to Watch Outside London , The Brake Fleet Safety Innovation Award, SHD 2018 Logistics Award « EDITORS CHOICE AWARD » BigChange in partnership with Silentnight Beds. We were also shortlisted for the IOD CSR award this year, and hailed as “one to watch” in the LDC Top 50 Most Ambitious Business Leaders programme, supported by The Telegraph. Last but not least, BigChange continues to support many charitable organisations that are close to our hearts. We now donate to more than 25 brilliant charities that do incredible work in Leeds and beyond. Thanks for tuning in to this update on our progress. Normal blog service will resume next week!